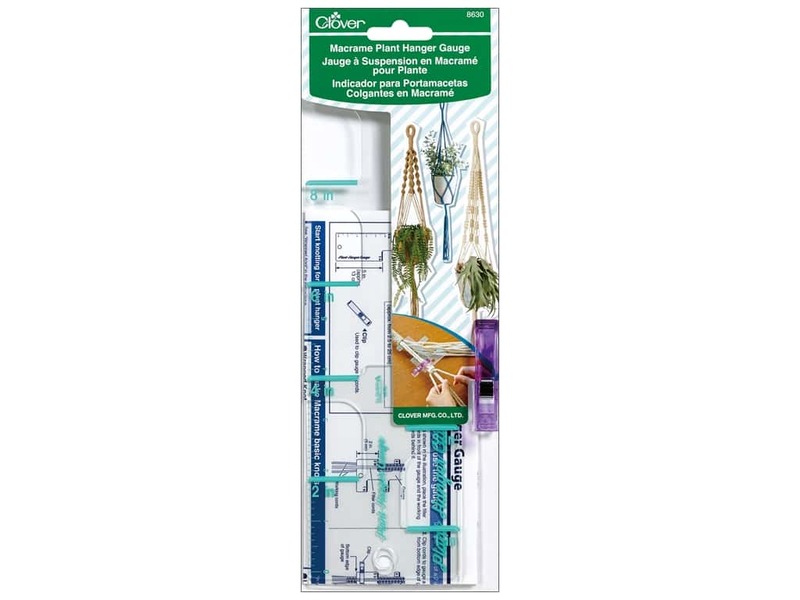 Description: Clover Notions Macrame Plant Hanger Gauge- Using this gauge, knots can be spaced evenly resulting in a beautiful finish. With 1", the gauge can be used to measure from 1" to 10". Package includes a wonder clip for holding the gauge in place.